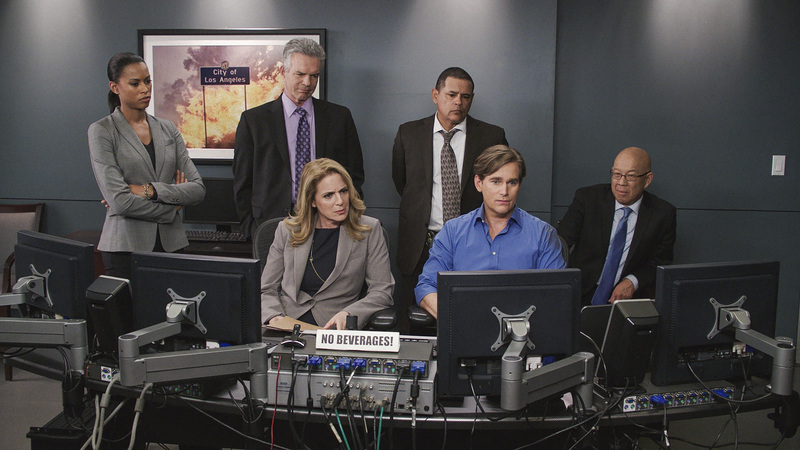 Currently airing its fifth season, Major Crimes continues to prove that it’s still a solid hit for TNT with a very dedicated group of fans. The network has shown its confidence by ordering eight more episodes of the drama, much to the delight of its viewers. One of the reasons the series continues to be successful is the work of veteran actor Tony Denison, who plays Lieutenant Andy Flynn. Denison has played the character for twelve years now, including his work on The Closer. The character has become so popular, that it has its own dedicated group of fans known as the "Flynn Girls." Today, we sit down with sit down with Tony to talk about the new season of Major Crimes, how the relationship with Sharon Raydor is progressing and how protective has he become of the character Lieutenant Andy Flynn. Pop Culture Principle - The fourth season of Major Crimes ended with a 5-episode arc. When did the actors find out about how the season was going to end and what were your initial thoughts to this extended episode arc? 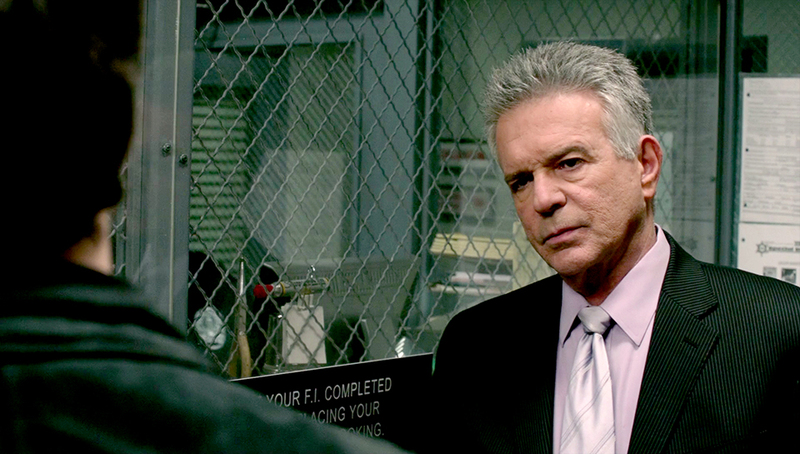 Tony Denison – Well, we knew that they were trying to do something different because the episodes came separately. We had originally planned to finish the eighteen episodes that they ordered and then the network said they wanted to do five more. So, when that happened, James Duff, the executive producer, told us that we were getting an order for five more episodes. We all thought that was great and people started making arrangements because it was during the period of time that people had hiatus plans. So everybody was definitely on board and we shot the five episodes. Pop Culture Principle – Normally the show finishes up a case by the end of an episode, but was your preparation and approach different for the final five episodes different as opposed to a case being solved in an episode? Tony Denison - My approach to the end of the season was basically the same. First of all, the character doesn’t know it’s going to take him that long to solve the story. Secondly, to me personally as an actor, I use to like to know what was going to be in the next episode, especially when I first started out on Crime Story. I used to be really curious and then I realized that it takes away part of the excitement of discovery for me as an actor. Somewhere in the middle of the first year of Crime Story, I realized that I don’t want to know anymore. I mean, sometimes you ask questions like is this character going to show up or is that character going to show up. Now, as far as Major Crimes is concerned, I don’t ask anything anymore. They are really good guardians of the continuity of our characters and it’s not like one day we will come out and suddenly we are telepathic. They know how to make it work and bring up stuff from the past. It’s hard to show all of our characters past lives and what’s involved, so they bring it in little by little. As an actor, it’s fun to discover that and I don’t want to know anything until I’m reading the script. If it were possible, I would love for them to shoot the script sequentially, but logistics doesn’t allow it. Pop Culture Principle – What's great about Lt. Andy Flynn is that there are so many levels to that character. As an actor, how do you playing a character with so many dimensions? Tony Denison - I love it. I once remarked that G.W. Bailey and I have the ability to both be a really tough team, but at the same time we can also be Abbott & Costello taking turns playing either role. It’s like he can be the straight man or I can be the straight man and that’s rare in television and even the movies. Usually one guy, based on physical appearance, is designated the straight guy and the other guy is designated the clown, but we get the opportunity to do both and I think that is one of successes of the show. Now you add in the love interest with me and Mary McDonnell and now you have the dynamic between that couple. When the guy does something less then stellar and the woman gives him the look of are you kidding, it’s powerful and Mary does that so well. So for me, it’s wonderful. I also get to do all the tough guy stuff which I really enjoy. I like playing a guy who lives right at the edge of the world where the ends justify the means, but doesn’t crossover. You can lean up against that line, but as long as he doesn’t cross it, there is a tremendous amount of drama involved there I think. Pop Culture Principle – In the fourth season, Sharon and Andy began seeing each other to the delight of the Major Crimes fans. They have anointed the couple as Shandy. Are you aware of that name and was it the right time for that relationship to really take off? Tony Denison – Oh yea, the Shandy shippers! I don’t know how many of them there are, but it seems there are a lot of Shandy fans. This relationship is something that has been planned very subtlety over the last three or four years of the show, especially the last three years. In reality, when two people who work in the same squad, it’s very tenuous having a relationship with somebody who you are on the job with. It’s one thing if you are on the job at a bank or in a political office, but when you are on a job where you are walking around and people are carrying guns who can shoot at you, it’s a very interesting dynamic. Pop Culture Principle – We see in the beginning of the fifth season that Sharon and Andy start talking about moving in together. Andy is full steam ahead with the idea, but it seems that Sharon may be a little hesitant. Would you agree with that? Tony Denison – Right now, it’s at the planning stages. I can’t say when it’s going to happen and what it’s going to look like when it does because I honest to God don’t know and I don’t want to know. I don’t know if hesitant is the right word. I think there is a tentativeness to Mary’s character, but that’s based on not how she feels about my character and their relationship, but it has to do with the circumstances of her job. I hate to use the word cautiously, but for lack of a better word, she must proceed tentatively as opposed to cautiously. Pop Culture Principle – As Flynn becomes a bigger part of Sharon’s personal life, will we get to see more interaction between him and Rusty? Tony Denison - Graham Patrick Martin and I did a scene the other day and at the end of it, I came over to him and told him I really enjoyed doing the scene with him and he said the same thing. The next day I told him, the more I thought about it, I really enjoyed the work we did in that scene and he told me that he wrote James Duff and told him how much fun he had working with me in the scene. So, I suspect there will be more of that, but again when and how many episodes initially and when will it start to become commonplace, I don’t know, but I would imagine that it will. Pop Culture Principle – Do you think Flynn sees himself as a father figure to Rusty? Tony Denison – You know, it’s funny that you ask that question because in a sense, he has a surrogate mother in Sharon, even though his real mother is alive, but what he doesn’t have is a father figure. So, if Andy becomes the surrogate father that he never had, that would be a great role for me to play. Think of the dynamics with Andy screwing up a lot of stuff with his own kids and being a former drunk, it would be an opportunity for him to make right and get a second chance. If that happens, it would be wonderful, but I have to tell you that they do come up with some really interesting plot points between the two characters. I’m not saying that I know, but I wouldn’t be surprised if that were to happen and I would welcome it with completely wide open arms. Pop Culture Principle – Both you and G.W. Bailey have great chemistry working together on Major Crimes. 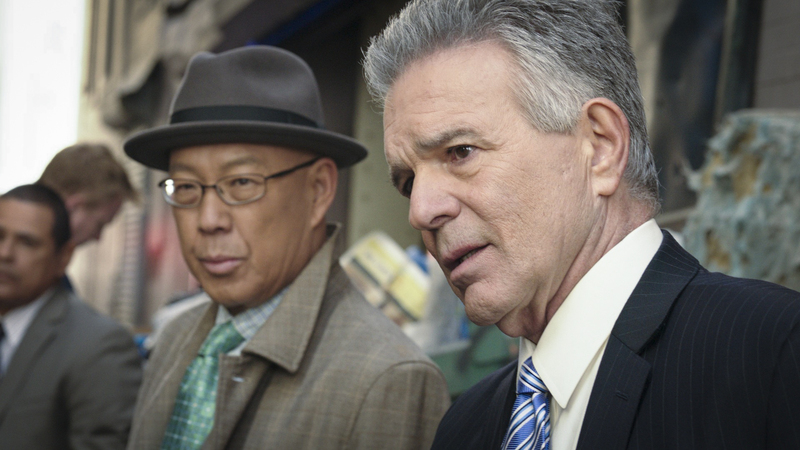 Will we get to see an episode focused on Flynn and Provenza this season? 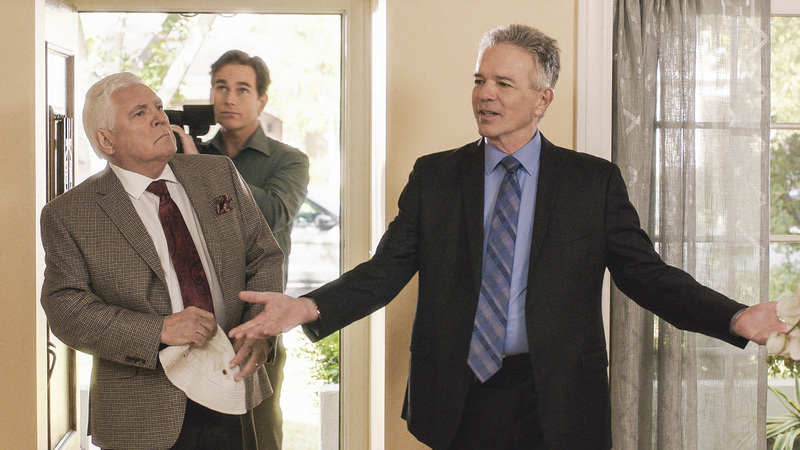 Tony Denison – Yes, we were told that there would be more Flynn and Provenza episodes. The reason why they are happy to do that now is because they found a way to include everybody in the story. If you look back on the old show, there was an episode called the Skybox Tickets, which to this day fans of both shows say it’s their favorite episode. What was unique about that episode is that although it was about Flynn and Provenza getting into scrapes and whatever, it involved everybody on the show. It’s not so much a Flynn and Provenza episode, but it’s one of those episodes where everybody gets a chance to hit a double, triple or a homerun. Pop Culture Principle – One of the great aspects about Major Crimes is that even with a large ensemble cast, everyone gets a chance to shine. Would you agree? Tony Denison – Yes and I think it’s by design by James Duff that everybody gets a moment to shine. Some of us like me, G.W. and Michael Paul Chan, we’ve been around a while and we are not the player to be named later, but we are the guys who come to a team during the pennant race. The teams pick-up really good players along the way so they can make sure they sure up any holes they have in their defense or offense and that’s how I like to think of us because we’ve been around a while. They you have Graham, Kearran and every once and a while we get treated to a recurrence of Jon Tenney. Not only is It fun to have him on the show from time to time, but he’s one of the best joke tellers I’ve ever met. Pop Culture Principle – You’ve played Lt. Andy Flynn for twelve years now. How protective are you of the character? Tony Denison – I remember my acting coach Julie Bavasso, who played John Travolta’s mother in Saturday Night Fever and is also the reason I got my big break in the business, she has said to me one time, “Be careful in that TV box, because you can get stale really quick.” So, I realized that the camera doesn’t know if it’s on a TV set or a movie set, so I must bring to the camera that respect of the craft and the medium. It doesn’t matter if it’s a 36-inch screen or a 36-foot screen, I have to bring the same intensity and the same dedication. There are sometimes that I might say I don’t think Andy would say something like that, but then you try to make it work through rehearsals and discovery, then you find another aspect of your character that seems incredibly valid. As an actor, I live for those moments because otherwise, it gets real routine. I’ve never played a character to be liked or hated, I play them to be understood in terms of the choices they make in their lives. Pop Culture Principle – Will Flynn ever get over the fact that Tao is a consultant on Badge of Justice? Tony Denison – No. I don’t think he will. I mean, this is something that is just stuck in his craw. I am sure there will be some funny twists and turns down the road because it’s very rich with material. Pop Culture Principle – You have a dedicated group of fans know as the Flynn Girls. What do you think about that? Tony Denison – I have to say, I can’t tell you how thrilled I am that that group exists. It is so flattering and they are great. Pop Culture Principle – What can fans look forward to during the fifth season of Major Crimes? Tony Denison – To be honest with you, we are very early in the season, so I don’t want to give much away. I can say that the dynamics of the relationships between family are big. A lot of issues and discoveries related to a family unit. Beyond that, if I tell you any more or get specific, they will hunt me down and beat me with a stick. We would like to thank Tony Denison for taking time out to talk with us. You can catch all new episodes of Major Crimes every Monday night at 10/9c only on TNT. 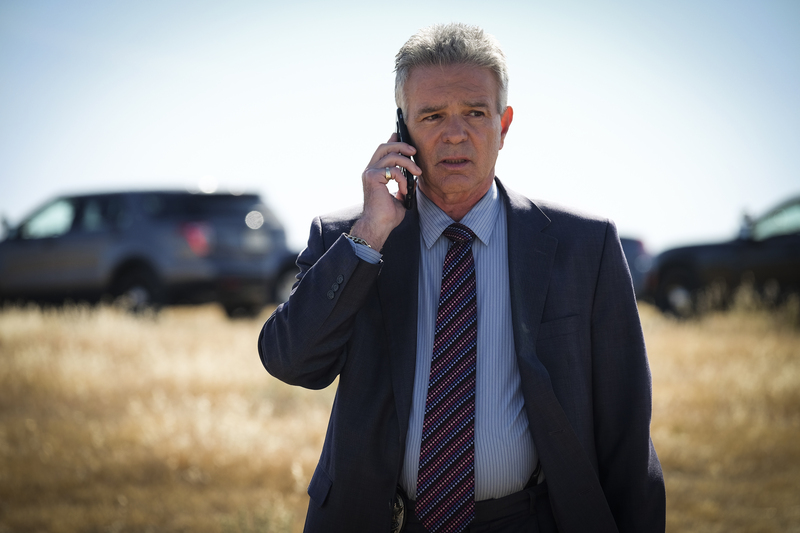 If you would like to keep up with all of Tony's latest news and projects, you can follow him via his official Twitter account @RealTonyDenison.